January 24, 2014 May 31, 2016 Categories education, high school, social studies, teachers, teachingLeave a Comment on Teaching the "Unteachable"
Ever since I can remember, I have been a teacher. I would teach my little cousins how to read, how to act, how to behave, how to, how to, how to. As the daughter of a principal (one of the best, if I do say so myself), I grew up in schools. My favorite summers as a kid were the ones when my daddy was the principal on duty for summer school. Why? Because I got to take big kid classes. My daddy would take me to school, get me a binder and some pens and I would take class with the big kids. It started at Edison Middle School. I was about 6, I think. My daddy told me that I would take English class with Mr. Dickson. I would take math with Ms. Davis. 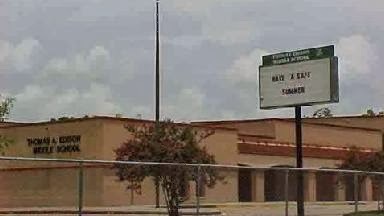 Mr. Dickson and Ms. Davis both taught 7th grade. I can’t really imagine what either of those teachers thought when a 6 year old walked into their classrooms on the first day of summer school, but I was so excited to be there. I sat right in the front row. I sat next to a girl who WORE LIPSTICK. I was amazed. Mr. Dickson and Ms. Davis were incredible teachers. They made their subjects palatable enough for me to understand while simultaneously engaging their 7th graders. I learned all kinds of things in 7th grade English and math that summer. A couple of years later, my daddy got moved over to Furr High School to take another Assistant Principal position. And I was SO excited to go to summer school. 11th grade English class. I was 9. Dr. Coulson gave me a 4 inch binder filled with literature strategy worksheets the first day. I was the happiest girl in the world. Static characters. Dynamic characters. Irony. I loved it. And I did not want to be a teacher. I wanted to run as far away as I could from education. But it called me back. In 2011, I found my way back to the classroom. 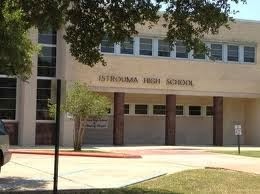 It would be easy to say that Istrouma was a rough school. A lot of people told me that the kids there didn’t care about education. They didn’t care about learning. They couldn’t be taught. They were kids from the ghetto, after all the 70805 zip code has the highest murder rate in Baton Rouge, and all they cared about was being “’bout that life.” They were unteachable. I’d be lucky to make it through the year alive, much less hope that these kids actually learn something. I got to Istrouma and found a group of teachers who cared about their subjects, their students, and their fellow teachers. I found mentors who would guide me through bad days, tough curriculum, and frustrating educational endeavors. They were my family. We wanted for some things, but we made do. I got to teach my kiddos about democracy, their constitutional rights, and how people decide who gets to talk at a meeting of the senate. We debated hot topics like legalization of marijuana, abortion, and designer babies. They led their own debates, choosing their own political parties to represent. They learned to budget and how investing in Jordans would be more financially beneficial than buying Jordans. They taught target markets to me by using hair perms as examples and explained to me that our national budget would be balanced if only “those rich old white men” had taken my economics class. To say I was flattered would be an understatement. They impressed me by being thoughtful and eloquent. They frustrated me with the use of curse words, the occasional misbehavior, and a sometimes lack of interest (which was often due to things far beyond my classroom). Most of all, they learned. They learned about social studies, but they learned how to respect themselves. They learned that sagging pants and excuses would not be tolerated. They learned to show their elders and their classmates respect. They learned that if they couldn’t communicate without curse words, then they couldn’t communicate at all. They weren’t all good kids, but they weren’t all bad kids, either. People said my kiddos were unteachable. 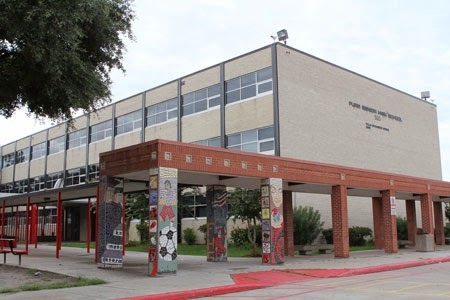 Teachers at Istrouma proved everyone wrong everyday. There were a lot of days that we wanted to quit. But we were there to give those kids what they needed: a teacher, a mentor, a parent, a guide, a shoulder. I’m tired of hearing about “unteachable children”. Quit shutting down our teachers and handing our schools over to these so say “progressive teaching movements” where we’re teaching kids to be “college ready” by having a 2 step math problem completed in 108 steps. Where we constantly train kids to believe that in order to be successful, you have to have money and if you’re poor, you’re not going to be able to be anything else but poor. Let us teach them subjects, but better yet, let us teach them how to be people. 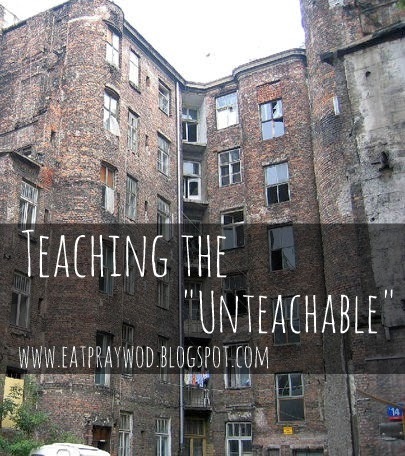 Give us your “unteachable” and stay out of our way.